Kefir and kombucha are all the rage in the natural and holistic health community. They are high in nutrients, as well as sources of rare probiotics. Probiotics are beneficial for both digestion and overall gut health, providing the healthy bacteria necessary to prevent constipation, bloating, and other unpleasant ailments. Probiotics are found in few food sources but can also be found in smaller levels in foods such as yogurt. Over eighty percent of your immune system is located in your digestive system, making it important to maintain overall gut health for immune functionality and holistic wellness. Kefir and kombucha are much higher in probiotics, and can be produced right on the homestead. These nutrition-dense powerhouses are a great way to increase your overall health and wellness. However, knowing the difference between the two can be quite confusing. Originating in Eastern Europe and Southwest Asia, kefir technically means “feeling good.” Kefir is a fermented drink that is traditionally produced from cow or goat milk. It is produced by adding kefir grains to milk. These grains aren’t actually real grains, like wheat or barley, but instead or cultures of yeast and lactic acid. These microorganisms multiply rapidly in the milk and ferment its sugars. The end product is known as kefir. Once the fermentation is complete (usually over twenty-four hours), the grains can be reused multiple times. 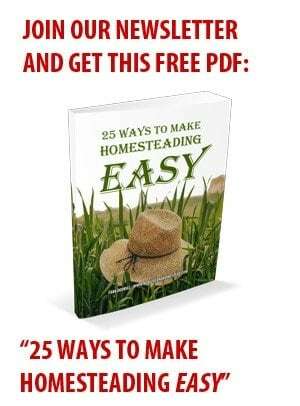 This makes it a good option for producing on the homestead, as you need very little besides the milk and a set of starter grains. Kefir tastes somewhat like yogurt, but thinner. It is high in protein, calcium, phosphorous, and magnesium, as well as vitamins B2, B12, and D. While it is low in calories, coming in at less than one hundred, it can also be made without dairy for those with sensitivities. Kefir contains about thirty different strains of different yeasts and bacteria, making it a great multi-use probiotic. This can help with digestion, weight loss, and mental health. These bacteria can also help prohibit the growth of harmful bacteria in the gut, such as salmonella. Especially when produced with full-fat dairy, kefir can help increase calcium absorption and reduce the risk of osteoporosis development. Kombucha is basically fermented sweet tea. This sour tonic tastes somewhat like tart apple cider. It originated in China and the far East over 2,000 years ago, and presents terminus benefits to your digestive system, heart, and brain. This beverage consists of black tea and sugar (usually from cane sugar, fruit, or honey). This sugar serves as the bacteria’s “food.” The colony of bacteria and yeast initiate the fermentation process once combined with sugar. After fermentation has occurred, It becomes carbonated and has elevated levels of vinegar, vitamin B, probiotics, and acid. You will generally find bacteria strains such as Gluconacetobacter, Acetobacter, Lactobacillus, and Zygosaccharomyces in kombucha. Kombucha is low in calories, and is viewed by many as a healthier alternative to soda. It contains about sixty calories, with fourteen grams of carbohydrates, four grams of sugar, and substantial levels of vitamin B2, B6, B12, thiamine, folate, and niacin. 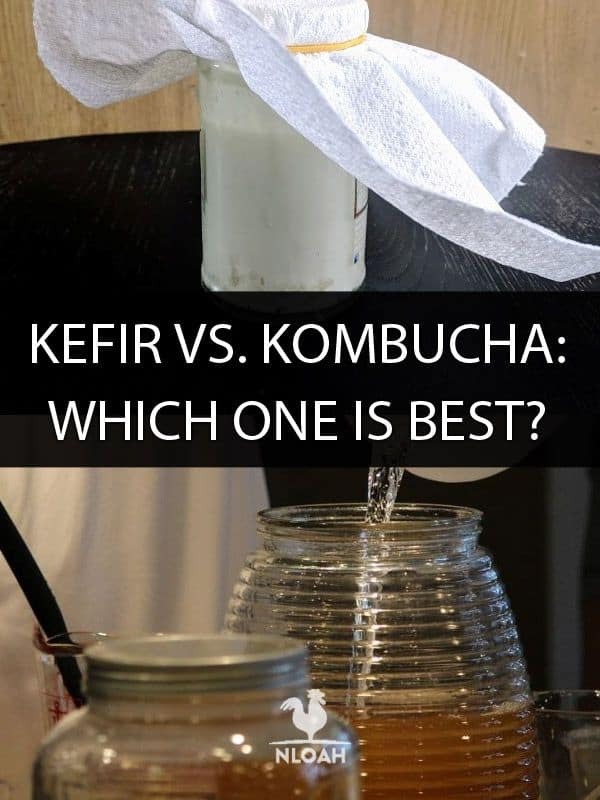 Who is kefir best for? While kefir is a good option for almost anyone, there are some who will benefit more from its powerful qualities. Milk-based kefir contains tryptophan, which has a soothing effect on the immune system. As a result, it is suggested that kefir may be beneficial for those with mental health issues or anxiety. Kefir takes much less time to make than kombucha, making it a good alternative for busy homesteaders. In addition, it requires very little start-up equipment, requiring only milk (which you likely already have), glass jars, and kefirs tarter grains. Starter grains can be purchased for a very low price online or at health food stores. Kefir contains milk, so it is not the best choice for those with dairy allergies or sensitivities. That being said, it can also be made with substitutions such as coconut milk or water, making it a safe alternative for those who are allergic as well. Many people with lactose intolerance also find that they are not as sensitive to kefir, as the bacteria work to break down some of the lactose into lactic acid, making them lower in overall lactose. In addition, pregnant women or those who are immunocompromised should avoid kefir. Because it typically is not pasteurized, this can be dangerous for developing children or those with weakened immune systems. In addition, because kombucha and kefir both contain small amounts of alcohol and caffeine (alcohol is produced when sugars ferment), pregnant women should take caution. Who is kombucha best for? While kefir is a richer source of lactic acid bacteria, helping it to serve as a drinkable probiotic supplement, kombucha is more of a digestive aid. It typically has caffeine, which can be a positive or negative depending on how you plan to consume it. It can also protect the liver, improve mental health, and help to manage diabetes. Kombucha can prevent a wide variety of diseases. Most predominantly, it can help lower inflammation through its high antioxidant content. Kombucha is beneficial for those battling inflammatory-related diseases, such as asthma, irritable bowel syndrome, or gout. Individuals who have yeast overgrowth, known as candida, should avoid kombucha, especially during flare ups. As with kefir, some types of kombucha are not pasteurized. This is generally better for overall health, as pasteurization is known to kill off some forms of healthy bacteria that make your gut function more effectively, but unpasteurized products can be dangerous for fetuses and others with compromised immune systems. Individuals with immune diseases such as AIDS should avoid kombucha (as well as kefir) as they can influence the growth of harmful bacteria that can cause illness. This is especially true if you are making your own kefir or kombucha. Kombucha, due to its carbonation and acidity, can also be damaging to your teeth. If you have sensitive teeth, consider brushing your teeth or swishing after drinking it. You might also notice some mild bloating or nausea after drinking kombucha. This is especially true if you have digestive issues already, such as stomach ulcers or heartburn. To avoid these unpleasant side effects, start by drinking kombucha in small quantities. Drink eight ounces a day or less to give your body time to adapt. While you can purchase premade kefir products at the grocery store, this can become costly as you will essentially be purchasing the kefir grain starters over and over again, which you don’t need to do. Store-bought kefir also typically has added sugar, making it more of a soda than anything else. Making kefir is quite simple. Put one to two tablespoons of kefir grains into a small jar. You can use more, allowing it to culture faster. Add around two cups of milk, ideally from your own cow or goat or another organic source. Milk from grass-fed or sustainably raised animals will be the healthiest. If you want a thicker kefir, you can even substitute cream. Put the lid on the jar and let it sit at room temperature for twelve to thirty-six hours. It will look clumpy, at which point you will strain the liquid into a new jar. You will leave behind the original kefir grains, which can be used repeatedly until they are spent. Kefir grains last for an indefinite amount of time—they do not spoil. You can reuse starter cultures about two to seven times, if you prefer this alternative. Finished kefir products can be stored at room temperature for a couple of days, or in the refrigerator for up to three weeks. You can even freeze them for up to two months. As with kefir, kombucha can be purchased at the grocery store, but this can become cost-prohibitive. Store-bought bottles are expensive and often contain added sugars and unnecessary calories. Instead, consider this recipe. 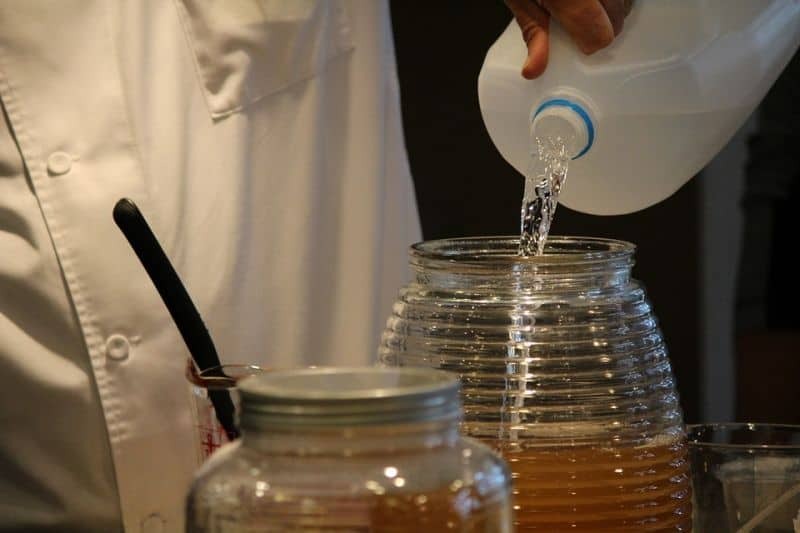 Using a glass jar (a plastic container will allow the chemicals from the plastic to leach into the kombucha during fermentation) and eight cups of distilled water will yield about eight cups of kombucha. You must purchase a SCOBY disc online or at a health food store. SCOBY stands for symbiotic colony of bacteria and yeast. It is not a mushroom, as many people erroneously believe. Discs cost only a few dollars but contain hundreds of active cultures. You also need half a cup of sugar or raw honey and four black or green tea bags. Finally, you must also add a cup of premade kombucha to help get the live cultures going. Bring your water to a boil and add the tea bags and sugar source. Let it steep for about fifteen minutes and then cool it to room temperature. When it has cooled, add the mixture to the jar and drop in the SCOBY disk and premade kombucha. Cover the jar and allow it to sit for seven to ten days. The range of time depends on the desired flavor. Shorter-fermented kombucha tastes weaker and somewhat less sour, while kombucha that has fermented longer tastes sour and more flavorful. More time also produces more carbonation. Another factor that influences fermentation is how warm your home is—the warmer you keep your house, the less time it will take to ferment. You might notice that as the kombucha ferments it produces a second SCOBY disk. You can use the second SCOBY to create another batch of kombucha, allowing you to save time and money. You can use the original disc again as well; it generally lasts around a month. If you don’t like the flavor of kombucha, you can add flavorings such as ginger or lemon, or even add juice from fruits such as oranges or cranberries. Do this after fermentation for best results. It should be refrigerated to extend its shelf life. Regardless of the product you choose, kefir and kombucha are both believed to be strong sources of probiotics. In addition to improving digestive function and overall health, probiotics found in both of these foods can help reduce the risk of cancer by inhibiting tumor growth and promoting the function of the immune system. Whichever beverage you choose, drink up. The health benefits of these two treats just can’t be beat. Thank you for writing this! I was confused about what yhey were. Thank you for this very interesting and informative article. However, I was surprised that you do not mention water kefir, which uses scobys that are adapted to sugar-water instead of milk. 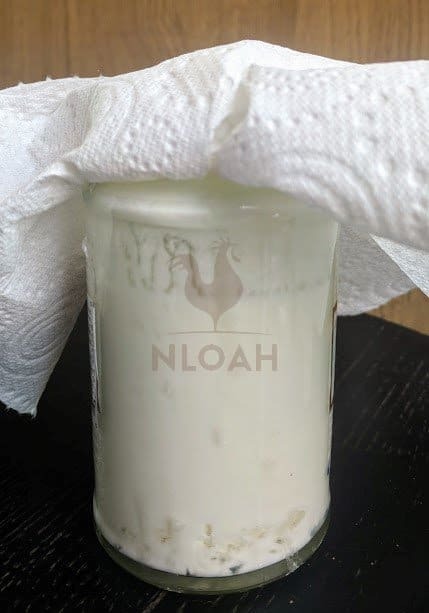 I used to make milk kefir when I had my own milk goats but since I no longer have goats, I make water-kefir instead. 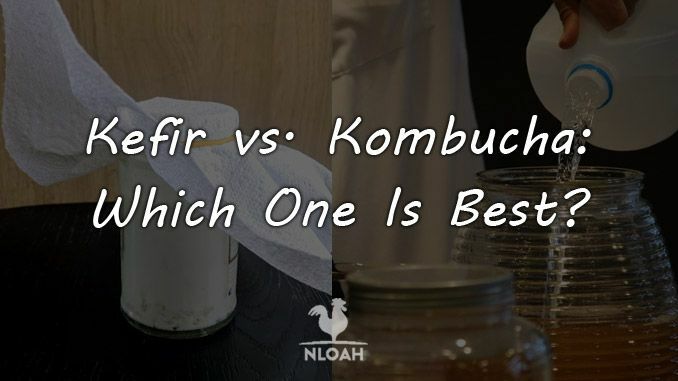 I find water-kefir preferable to kombucha because I can drink a little water-kefir every day whereas kombucha tends to give me yeast overgrowth. I have seen informal studies show that keffir milk is better able to pass through to the gut due to the fat protecting more of the bacteria than other types of probiotic.